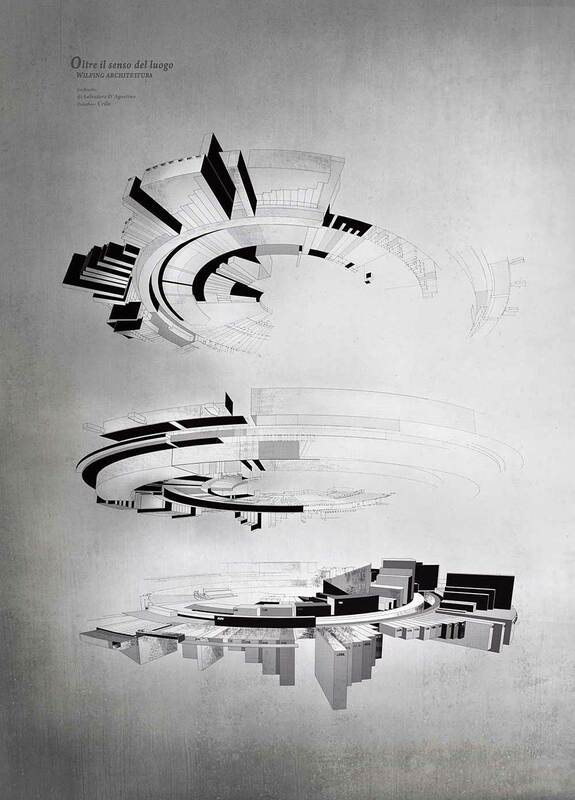 Oltre il Senso del Luogo uses 3D modeling and graphic design to visualize a report on architecture by Salvatore D’Agostino, posted on his blog Wilfing Architettura. To bring this report to life in graphic design, we looked to the B-side of a vinyl record: this metaphor represents the voice of self-produced and spontaneous culture of architects bloggers, who are asked two simple questions: What is the architect know that you value and why? What is the architect did not know that you value and why?